Gary Stal came from the middle of the pack in Abu Dhabi to win his first European Tour event, shocking Martin Kaymer who carried a ten shot lead on Sunday. 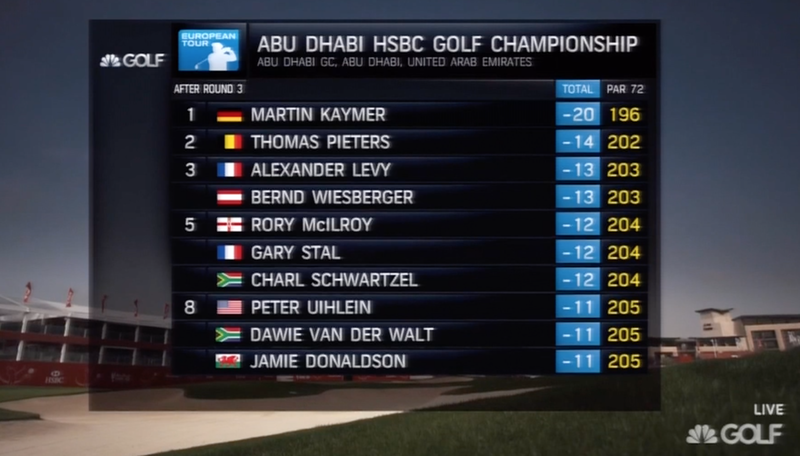 That was what the leaderboard looked like after Saturday’s third round, with Kaymer carrying a six shot lead over big hitting Thomas Pieters. This was nothing new for Kaymer really, who dominated both the U.S. Open and the PLAYERS Championship last year, running away with two of the biggest tournaments of 2014, and he actually expanded the lead early on in his round. Last week, we saw another star player in Charl Schwartzel blow a big lead to a relative unknown in Andy Sullivan, and the same story really applies with Stal. It’s his first win on the European Tour, and guarantees that the 22-year old Frenchman will have his card until the end of the 2017 season. He should also move into the top-100 in the Official World Golf Rankings depending on the results later today at the Sony Open, and the win gets him into the WGC-Bridgestone at Firestone later this year, which will be his first ever start in the United States. Thanks to guys like Jean van de Velde and Thomas Levet, both of whom have done a ton of work in France to promote the game of golf over the last couple of decades, we’re starting to see an influx of really good, young French golfers, with Stal joining Alexander Levy and Victor Dubuisson as winners on the European Tour in the last couple of seasons. 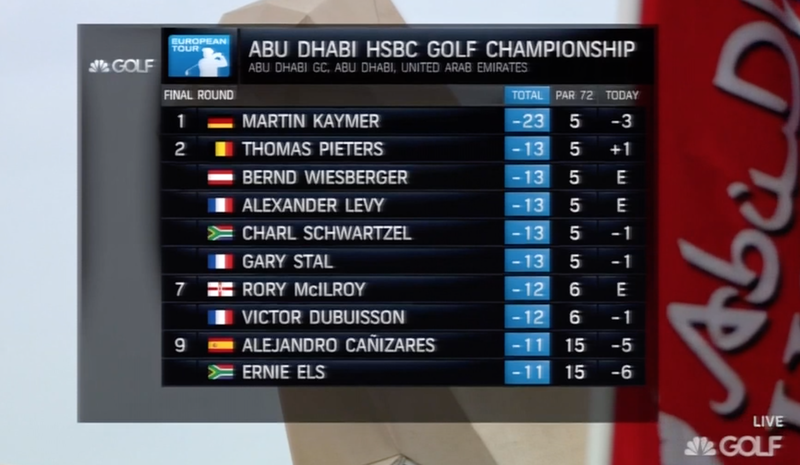 Kaymer's going to win tomorrow by 9 shots and probably spend the next six weeks firing 75's and missing cuts because golf. I sent this tweet out yesterday after the third round was over, but I didn’t think that the 75 would come so soon. When I did my preview on Kaymer a few weeks ago, I mentioned his complete lack of consistency and how it was really confusing to me, and man, did it ever show up today. I’m sure he’s just as shocked as the rest of us, especially when you consider the level at which he has dominated this particular venue, but this is another example of how difficult this game can really be sometimes and in the long run, I’m sure he’s going to be just fine but this one hurts. 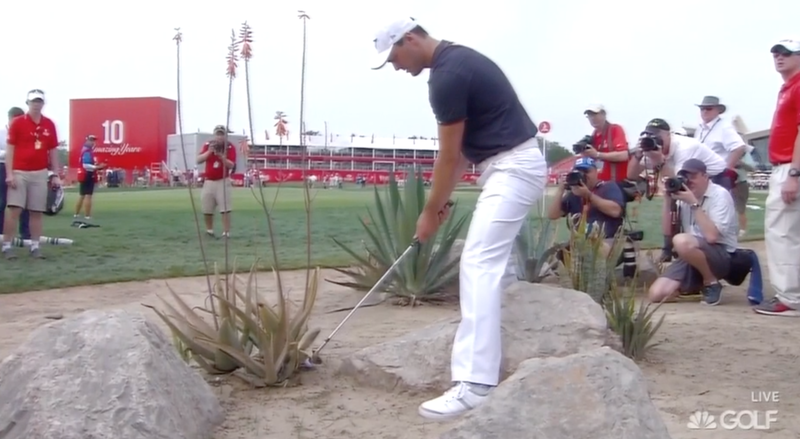 No one ever wants to lose a tournament when you have a lead on Sunday, and when it’s as big as the one Kaymer had, it just makes it even more difficult to take. 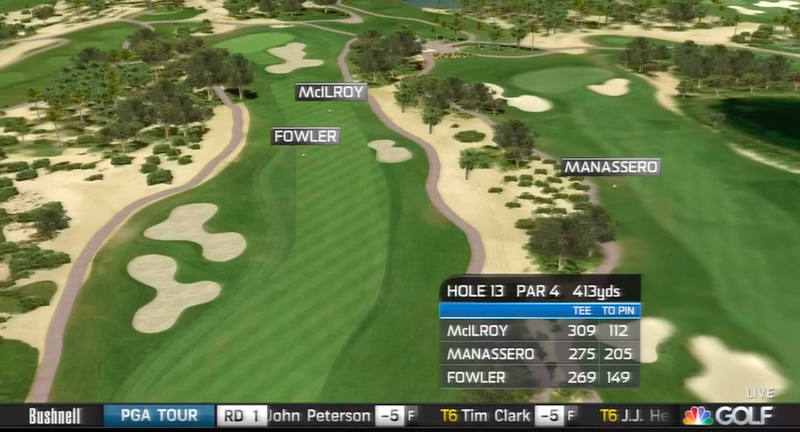 Pair of aces from Miguel and Rory. These need to be watched together. Rory hits a pretty decent shot to about ten feet or so and is so disgusted that he goes through the routine like he bladed it over the green. 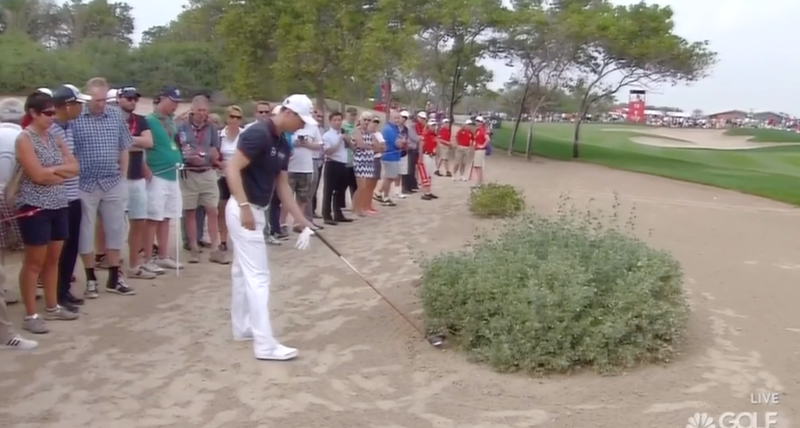 You do you, Rors. Kaymer was 23 under on the first 58 holes and 6 over on the last 14. 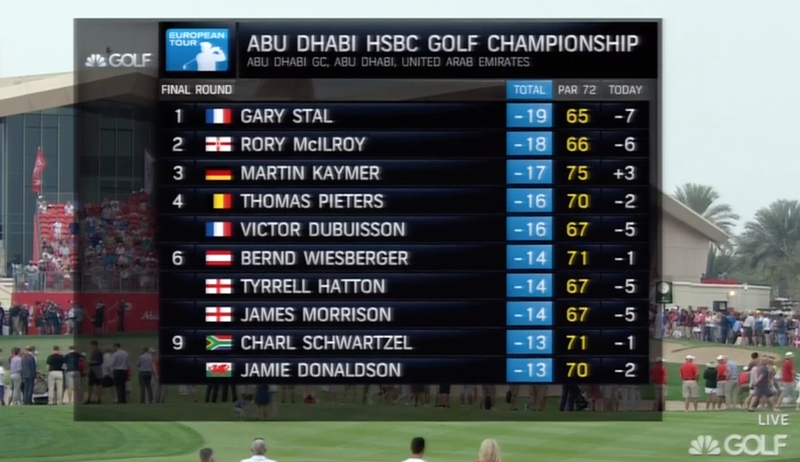 Can't give Gary Stal an opening like that. The Exxon Valdez thinks Martin Kaymer is leaking oil. Had a 10 shot lead, and it's now it's just 2 over Gary Stal. Golf Channel. This is Kaymer’s ball from Saturday. That’s the wrong hole, Matteo. Rory on where his game is at right now: “It’s good enough to get into contention here. It’s maybe 80 to 85 percent.” Good lord. Thomas Pieters is the real deal, folks. When I watched him last year at the Open de Espana when he lost to Jimenez in a playoff, he couldn’t close it out, but there’s a ton of raw talent there and he hits the ball just miles from the tee. Don’t be surprised if he can pull out a win here at some point in 2015. The European Tour is off to Qatar in just a couple of days with an early morning start on Tuesday here in North America for the Commercialbank Qatar Masters. Stal is in the field, as is Henrik Stenson, Justin Rose, Schwartzel, Ernie Els and it will mark the 2015 season debuts of European Ryder Cup team members Stephen Gallacher and Sergio Garcia.